Over three decades ago today, before you could watch videos on YouTube at the press of a button, in fact before most of us had ever heard of the internet, and long before the popularity of solar energy and hybrid cars among celebrities and musicians, a monumental musical event occurred. At 12:01 AM on August 1, 1981 a new station came on the air, called MTV. The first images broadcast on the new music television station were the launch of Apollo 11. The first video was “Video Killed the Radio Star” by the Bugles and the rest as they say was “History”. Music lovers, especially the young high school age and college age, were now going to be able to see their favorite musicians and bands more often than the usual Grammy awards broadcast or special guest appearance on a late night show, American Bandstand or Soul Train. 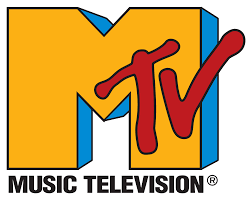 Teenagers and young adults now think of MTV as the channel to view reality TV, series aimed at the young adult, and short broadcasts once a day of the top videos. But where are those videos? What makes MTV “THE” music television station? For those that were aware of the new MTV channel it was revolutionary. Musicians became creative with their videos that held much more than what is seems is seen today, despite more technology. Getting cable was a must just to have MTV. For those wanting to revisit the nostalgia of the good ol’ MTV days, there will be a re-broadcast of the network’s first hour as well as marathon playing of music videos from the 1980’s. However, this won’t be available on MTV, but rather VH1 Classic. It will be a three day celebration beginning on the VH1 Classic channel on Saturday at 6:00 AM EST. He included, “I think we just had 300 recordings at first. Which is the reason you saw Andrew Gold at regular intervals. We additionally had loads of Rod Stewart, and even acts like Charlie Daniels. One of the early examples of overcoming adversity was Duran. We began playing ‘Planet Earth’ at an opportune time and it got them wide introduction. We began to find out about British groups going to the States and being stunned by what number of individuals appeared. The days of videos the likes of “Thriller” by Michael Jackson are long gone, just as MTV being a music video television station is long gone. Instead, videos are common, and can be downloaded and watched over and over, or viewed whenever you want on the Internet. Who would think MTV would change so much or have such a large impact on music in general? Then again, who could have predicted a television station based solely on short performances of music would evolve and give rise to several other video based stations. Change occurs, but for those that can recall the good old days and the thrill of viewing a favorite video after hours of sitting and waiting in front of MTV, it will never be the same. Happy 30th Birthday MTV! Are you looking for PTSD counseling? The wonderful people at Deer Hollow Recovery and Wellness are educated, compassionate and most of all they have tons of experience with PTSD so they can help you manage your symptoms. Call to schedule an appointment today to speak with one of their staff and see how they can help you.